I know that “Progress Not Perfection” is a statement we have all hear over and over again. With anything, we hear it, but do we take action on it? I remember blogging and always afraid of putting out my posts, because they were my words and my image creations. I was fearful that some imperfection would be seen that I may have missed. In doing this, I lost a lot of time being in stress and questioning mode. Once I got past the thought that I may have done something incorrect, or worrying that it was not to the level of perfection I set for myself, I was able to hit the “publish” button without fear. I realized that there is no such thing as perfection, there is only room for continued growth and opportunity for betterment. 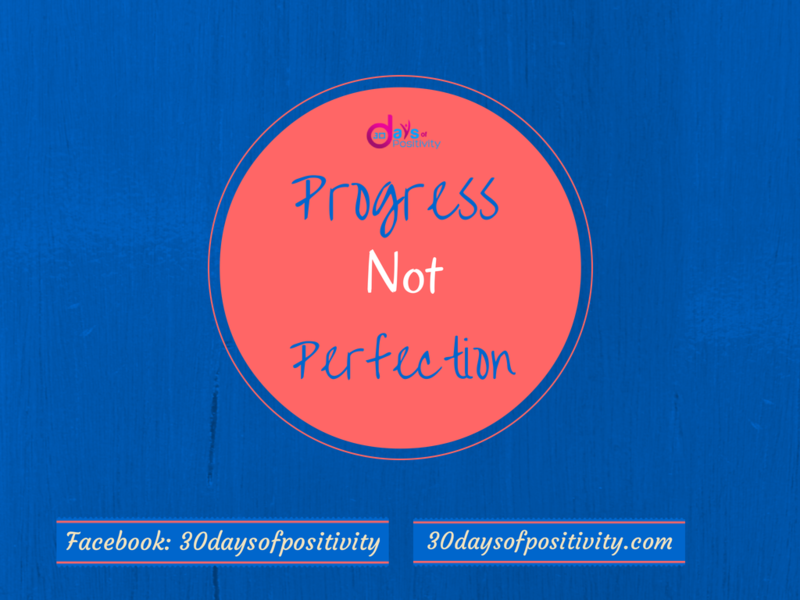 If you continue to push through the process of progressing to new levels, the need to be perfect will diminish. Do not hold yourself back from doing what you were called to do! I love this! Progress, not perfection. I feel this way with video… for months, I have put off making videos because I wanted everything to be perfect. Because of this, I didn’t do videos, because nothing was ever perfect. I finally ditched this and said to myself, getting the info out there is more important than doing nothing! So I did it! And it felt great to finally get it done. That is Awesome Adrienne!!! That’s what it’s all about, getting out there and doing it. Thank you so much for sharing and I know your videos turned out great! Yes Carmen, I have to agree. I have to remind myself that it’s only “out on a limb” until I conquer it, then it become a “path once traveled” and conquered. Thank you for sharing.